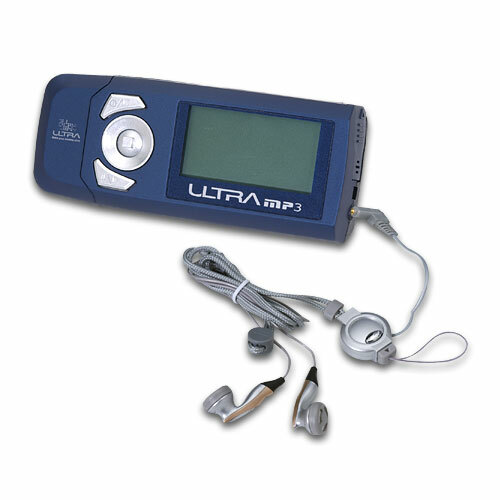 Bottom Line: If you need a portable MP3 player you could do a lot worse than the Ultra Products ULT31576 8-in-1. Its small compact and looks nice but what about data transfer and ear buds? 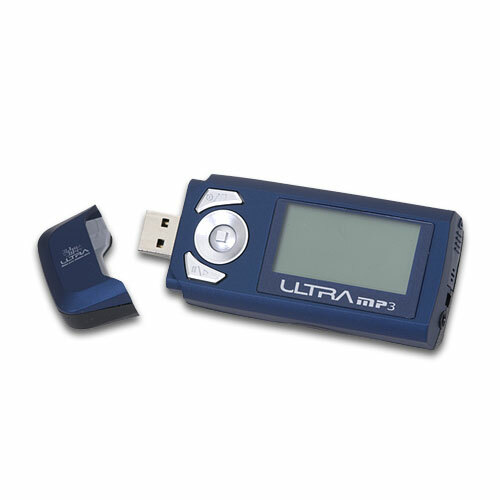 Today I will review Ultra Product's ULT31576 8-in-1 MP3 player. If you live outside of the United States, you may find this same device sold under another brand name, such as Clicker or Comix Poki-MP3 player. The eight functions that comprise one ULT31576 (herein known as "device") is an MP3 player, FM tuner, voice recorder, thumb drive, e-mail client, and MMC reader. Oh wait. That's 6 functions. There are eight functions listed on the package, but the other two are ID3 tags and language learning function. I don't count those as functions because "ID3 tags" simply means an MP3's ID3 tag can be edited with the included software and is scrolled in it's entirety across the screen and language learning function is something you can do with the repeat function of the voice recorder (or so I extrapolated from the Engrish on the back of the package.) If you were to include those functions, you might as well include the functions of volume, eq presets and the ability to skip forward and backwards through tracks. Now it's 11 in 1, just like that! The Ultra ULT31576 with it's cap removed, exposing the USB connector. The ULT31576 with cap installed, and headphones plugged in.